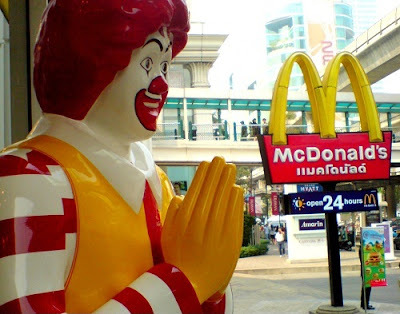 John Travolta’s character in Pulp Fiction, Vincent Vega, wasn’t the only one to be surprised by the differences in McDonald’s menus across the world. And believe us, the Royal with cheese is only the beginning! For such a big brand like McDonald’s, one might assume their menus are the same the world over. You are wrong my friend. 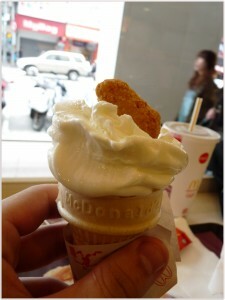 At first, the McIce-Cream Nugget sounds down right wrong. Chicken and ice-cream? How can that be? But then we took a closer look at the facts. Chicken and waffles make a delicious duo (listen to Barack Obama profess his love), chicken alfredo is a pretty standard pasta, and other crazy ice cream flavours, such as avocado and bacon, actually taste good. So why discredit the McIce-Cream Nugget? Leave your lobster pick and class at home, we’re eating lobster at McDonald’s! 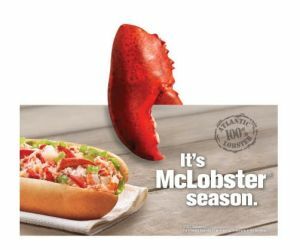 While the McLobster appears to be seasonal in Nova Scotia and parts of the American northeast, this is defiantly the real deal. But at $5.69, it’s a bit much to go on the dollar menu. 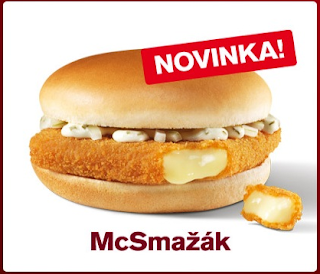 The McSmažák isn’t the most beautiful of burgers, but we have to admit, it’s pretty tasty. Fried cheese with a bit of tartar sauce is a Czech specialty, so it makes sense for McDonald’s to knack a popular dish. Coming in at 30 Czech crowns, this cheesy number would fit in nicely on the pound saver menu. Weddings can put you back a pretty penny, but not if you opt for a wedding at McDonald’s. With a range of options including ‘Happiness Party’ (£240) and ‘Love Forever Party’ (£830) McDonald’s let’s you have it your way (oh wait, that’s Burger King’s tagline). To most Brits, a wedding at McDonald’s is laughable and incredibly tacky. But for some Hong Kong locals, a wedding at McDonald’s might be perfect. Plus, with a Crystal McDonald’s House as a wedding gift, even we are tempted. France is known to have wonderful food (much better than British or Finnish according to Jacques Chirac). This love for beautiful, fancy food is even carried over to McDonald’s with their gourmet selection of pastries, including macaroons. 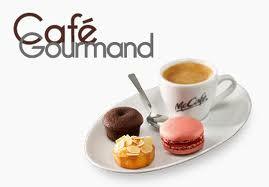 While we don’t think there’s such a thing as the “McMacaroon”, the name has a certain ring to it. Certain things are fairytale quality – most involve princesses, castles, and impossible endings. 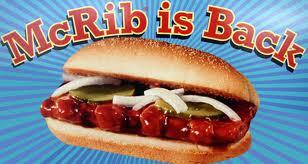 Think again, and this time add the mystical McRib. This elusive McDonald’s item has disappeared and reappeared throughout the decades in the United States creating an almost cult following. McDonald’s is currently promoting The Quest for the Golden McRib – a virtual adventure across the USA to find the virtual ribs. The McWhat? items are endless and we want to hear about them. Have you ever seen an unusual item on a McDonald’s menu? Tell us about it. LetsEat.Com.Cy is the first leading take away delivery portal in Cyprus. More than a just a restaurant directory – it’s a more convenient way to find a restaurant and order a delivery online.